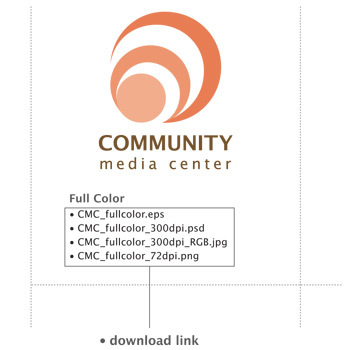 The Visual Identity Guide (VIG) is designed to help with the correct implementation of the identities of Community Media Center, including Wealthy Theatre, GRTV and WYCE. In order to maintain the integrity of our services and what they represent, we have created this toolkit to assist in applying our identities properly and consistently across all communications material. To access our logos download the Visual Identity Guide (VIG) (you will need Adobe Reader), then navigate to the "Logo Library" section of the VIG. Variations of our logos have been created for most circumstances, including full color, 1 color, reverse, greyscale, black and white print/display scenarios. Please read through the VIG thoroughly, as there are guides for clear space, color palettes and logo usage; as well as contact information if you have any questions.